"Among all forms of mistake, prophecy is the most gratuitous." The word oracle stems from the Latin verb orare, meaning “to speak,” and typically referred to a priest or priestess making a prediction. In ancient times, oracles were thought to be the portals through which the gods spoke directly to the people. They were considered to be the highest authority in civil and religious matters and were often sought after by kings to ordinary citizens. Their advice carried great import on issues ranging from war, politics, crime, law to personal issues. 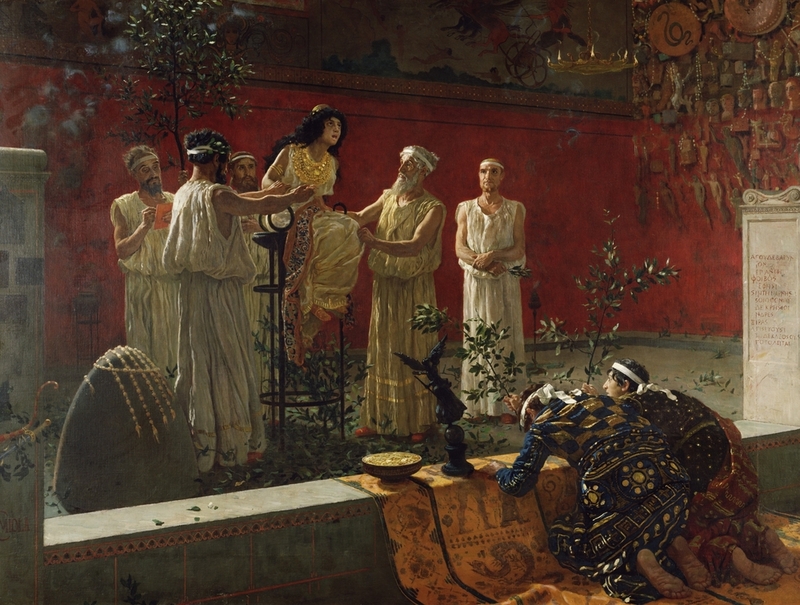 In the Hellenic era, the Delphic Oracle was considered to be the most influential with supplicants as far reaching as Egypt, Lydia, and Persia. In an age without science and a concrete understanding of causal forces, everything from natural disasters to the outcome of battle was thought to be determined by the gods, and oracles were their mouthpieces on earth. Prior to giving a prophecy, the Oracle at Delphi would fall into a trance and mutter words thought to be incomprehensible to mere mortals. The strange and mysterious utterances would then be interpreted by the priests and translated into the language of those seeking the Oracle’s advice. Similar to today’s FOMC statements, the Oracle’s words often contained dual and opposing meanings or were ambiguous and left a lot of room for interpretation. One of the more famous Delphic prophecies was given to Croesus, the king of Lydia, who sought the advice of the Delphic Oracle before attacking Persia. Herodotus tells us the king was advised, “If you cross the river, a great empire will be destroyed.” On that advice Croesus invaded Persia, but it was his own empire that was destroyed by the Persians. Despite the advancements made in science and technology, the traditions of the oracle still remain with us today. Instead of Delphi or Mount Olympus, we have Washington DC and FOMC meetings. Instead of Pythia, High Priestess to Apollo, we have the chair of the Federal Reserve, Janet Yellen. 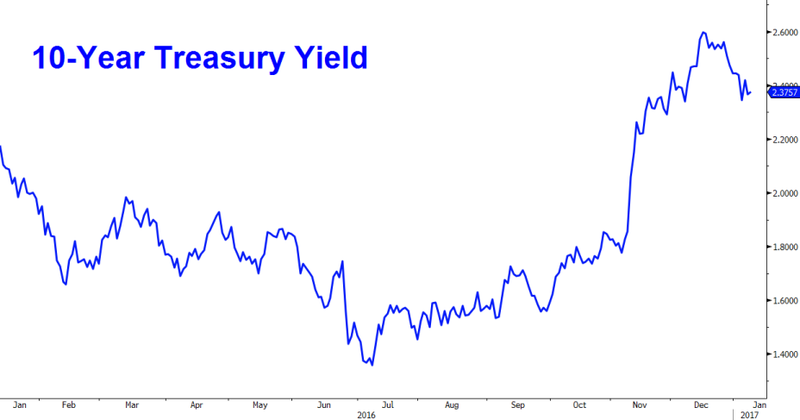 Like the unknowns of the ancient world, today’s markets are made up of so many unknowns: will the Fed raise or not raise interest rates, will the markets be up or down, will the economy continue to grow or fall into recession, and will stocks or bonds be the better investment this year. Unfortunately, the markets are never predictable. The world changes and so do the financial markets. A boom can turn into a bust and a bull market can turn into a bear market. Nature itself is constantly changing from season to season. The essence of a living organism is movement. The same is true of financial markets. As human beings, we have become creatures of habit. We are comforted by the stability of routine. We prefer sameness to change, which is why we prefer the status quo. The financial markets are no different. Because markets abhor uncertainty we devise forecasts that are imbued with a degree of certainty when, in fact, no such certainty exists. The financial markets prefer to travel along a straight road rather than one that weaves and winds in an unpredictable fashion. When trends are predictable, investment decisions are easier to make. After going through a year when so many predictions fell off course we once again find ourselves looking for clarity in the year ahead. The year 2016 was one for the record books from market returns, an interest rate hike to election outcomes. One prominent oracle lamented his forecasts were right on target until the election of Donald Trump. In fact, many of the market’s deepest fears turned into pivot points, from Brexit to the election of Donald Trump, propelling stock prices higher instead of cratering as predicted. Given the stellar double-digit returns of 2016, Wall Street’s oracles and soothsayers are the most bearish they have been since 2005, two years ahead of the bear market which began in the fall of 2007. This bearishness has many contrarians feeling more optimistic as strategist consensus forecasts have turned out to be too bearish in 6 out of the last 8 years during this bull market which has been one of the best in both returns and duration. It is my own belief we should expect neither. Markets are more likely to surprise either to the upside or on the downside. It could be that maybe we get both. Unlike his predecessors, the new president enters office with a different macro background. Both Bush and Obama entered office in the midst of a recession with the Federal Reserve in an easing mode. By contrast, Trump inherits an aging economy with the Federal Reserve in a tightening mode. Many of the new president’s proposals, if enacted, could cause inflation to rise prompting a more aggressive tightening by the Fed which could limit the impact of fiscal stimulus. In fact, from our perspective, we’re already seeing tightening in the pipeline coming from three fronts: rising oil prices, higher interest rates, and an appreciating dollar. 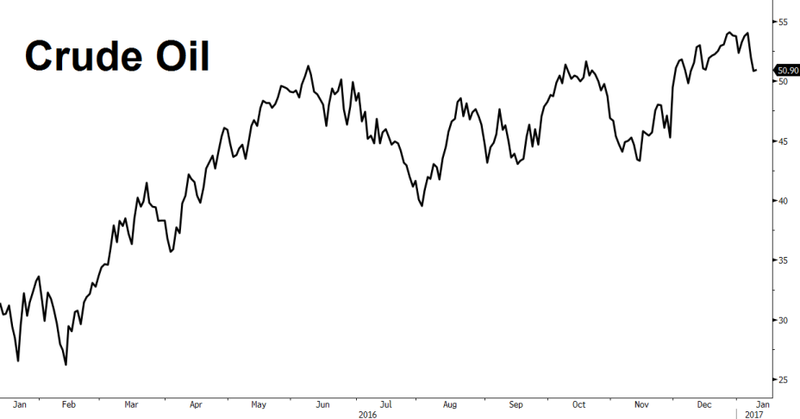 Oil prices have more than doubled from their lows set in February last year. Interest rates are at two-year highs and the Fed is expected to raise interest rates several times this year. The confluence of these macro events could cause the economy to falter at some point this year. That in itself may provide the impetus for Trump’s new plans for stimulus. 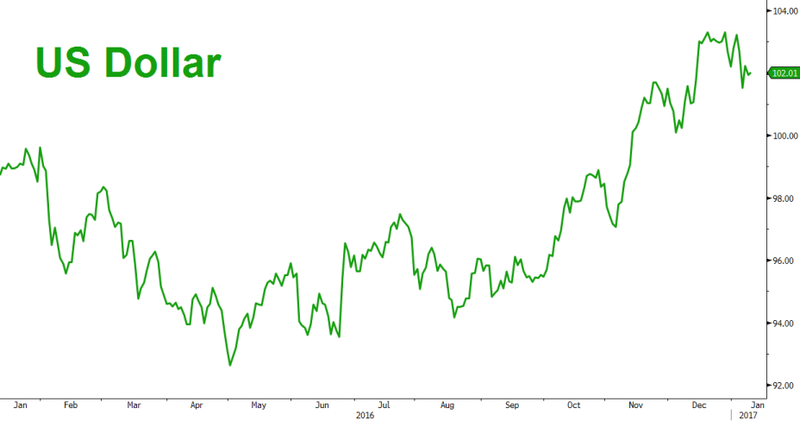 What we do know is the sharp rise in the dollar since the election can quickly become a source for global instability, especially in emerging markets. The dollar is impacting currencies, interest rates, and policies, compounding problems in the emerging world. A rising dollar will also impact the profitability of large multinational corporations that make up the Dow Industrials and S&P 500. Even though technical trends in the market remain positive, on the fundamental side tightening has already begun and it is only a matter of time before this begins to show up in weaker economic and profit growth. Sooner or later the impact of a rising dollar is likely to be reflected in weaker exports, lower manufacturing activity, weaker profits, lower commodity prices, and financial stress in emerging profits. All this translates into tighter financial conditions which are not good for financial markets. The markets have been in a rally mode since the election but with tightening in the pipeline there is a growing risk to global financial conditions worsening in the months ahead. Given the current euphoria, what the markets are not pricing in right now is a global slowdown. The expectation is that fiscal stimulus will arrive soon and be strong enough to offset tightening conditions. However, Washington is one giant sausage factory. It takes time to move legislation through Congress and get major bills passed, especially those that are sweeping in nature from tax cuts and tax reform, the repeal of Obamacare or major spending bills. Even with the Republicans controlling all major branches of government, major legislation moves at a turtle’s pace in Washington. It very well may be that a slowdown in economic growth provides the impetus for a speedy resolution to the sausage making process. When approaching forecasts and the consensus, it is always a good exercise to challenge the assumptions made by a strategist. Most market forecasts are the product of collective thinking; this year is no different. The tepid forecasts for 2017 are similar to last year’s forecasts prior to the Trump run-up that threw many a market seer off kilter. This year may end up being a story that unfolds in different ways similar to last year: a first half story and a second half story with different outcomes in each half.